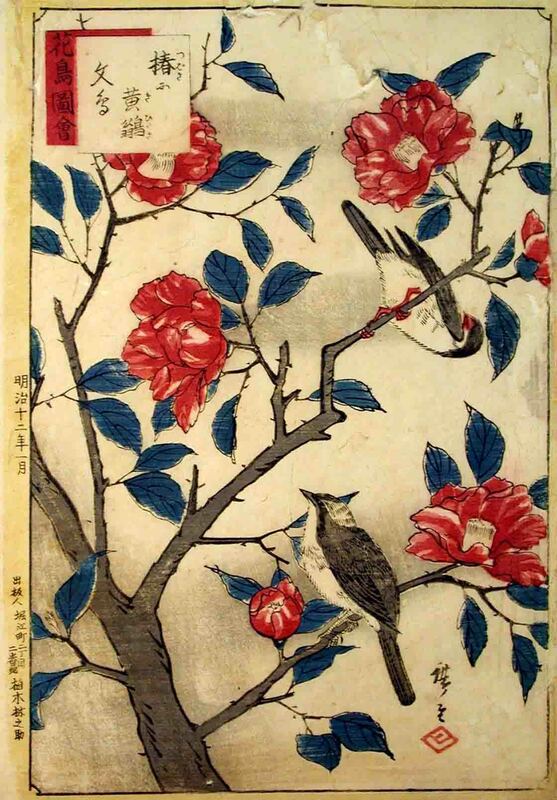 Image Credit: Hiroshige, Camellia and Yellow Birds, not dated, coloured woodblock print, 34.1 x 23.7 cm. Collection of Latrobe Regional Gallery, Bequest of Allan Aldous. Everyone has experienced flowers in their lifetime. Whether it’s growing plants, giving or receiving a bouquet, or playing in your childhood garden, flowers are present in our daily lives. Often overlooked, flowers have provided inspiration for artists for centuries. Arrangement presents work from a variety of artists including Kaye L. Green, Christian Thompson, and David Preston. These works from the Latrobe Regional Gallery permanent collection have been paired with those from other collections including the Allan Aldous Collection, the Gippsland Art Gallery Collection and The Cbus Collection of Australian Art, as advised by Dr Joseph Brown. Still life works of art play a major role in the four collections represented in this exhibition. We hope that Arrangement will inspire visitors to slow down, to look and linger in front of the works of art. Study a piece, look at the colours, details, shapes, and see the often overlooked aspects of still life art. Spend a few moments looking at a single work. You might be surprised by what you see. If you are interested in experiencing more deliberate viewing of artworks, LRG regularly hosts ‘Slow Art’ tours, where we focus on specific artworks on display. For more information click the below button or call 03 5128 5700. Arrangement was also inspired by the Morwell Centenary Rose Garden, a two minute walk from the gallery. We encourage you to visit the Garden, where you can find more than 100 flower beds, in which are planted over 3500 roses. Arrangement showcases works from the Latrobe Regional Gallery Permanent Collection, the Allan Aldous Collection, the Gippsland Art Gallery Collection and the Cbus Collection of Australian Art, as advised by Dr Joseph Brown.